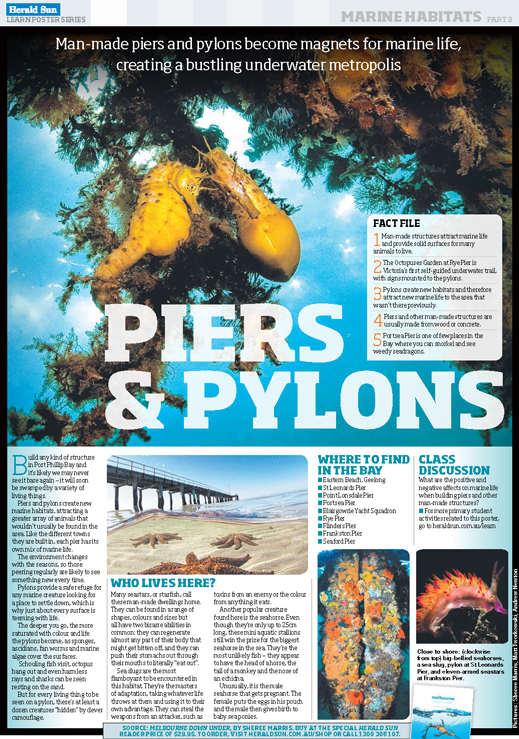 MDU was lucky enough to work with the talented people at the Herald Sun Learn section to develop a series of marine based posters inspired by the book and habitats of Port Phillip Bay. The results were absolutely stunning as you can see below. 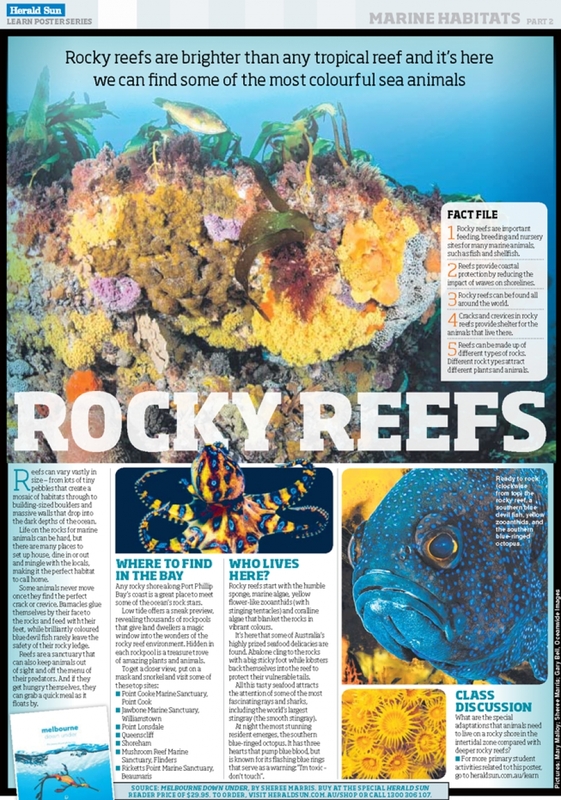 We equipped teachers with stunning visuals, facts, background information on the habitats, animals that live there and various discussion points. 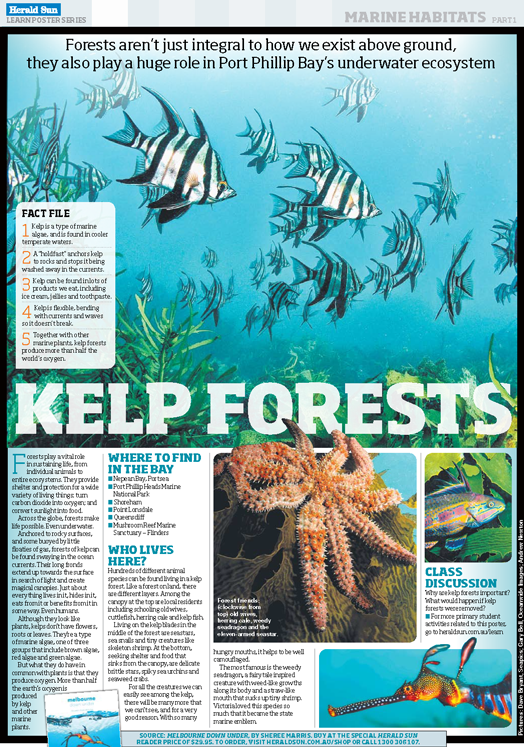 For teachers wanting to take the discussion further additional activities relating to the habitats were featured online. 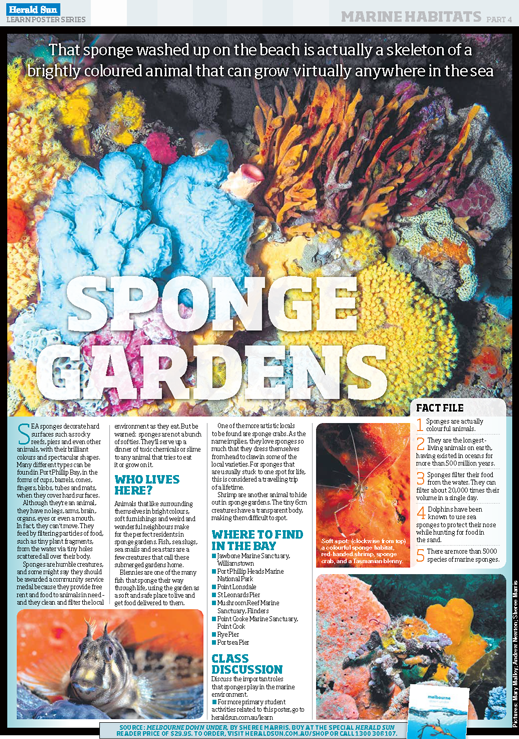 Thanks again to the Herald Sun Learn section for their incredible support.